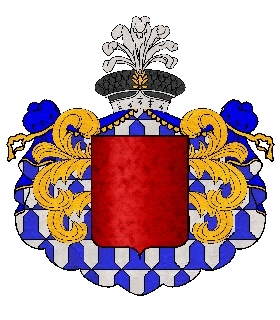 The armorial of the nobility of the French first empire describes the blazons of various families starting from the letters patent of ennoblement. 2/ SOCIÉTÉ DE L'HISTOIRE DE LA RÉVOLUTION FRANÇAISE, LISTE DES MEMBRES DE LA NOBLESSE IMPÉRIALE DRESSÉE D'APRÈS LES REGISTRES DE LETTRES PATENTES CONSERVÉS AUX ARCHIVES NATIONALES, PAR EMILE CAMPARDON, PARIS, AU SIÈGE DE LA SOCIÉTÉ, 1889. 3/ Album des armoiries concédées par lettres patentes de Napoléon 1er, Albert Révérend, 1911. I wonder if you could assist me in finding out more about my family crest...? And the very top, an arm bent at 90° with knight armour holding/swinging a sword.